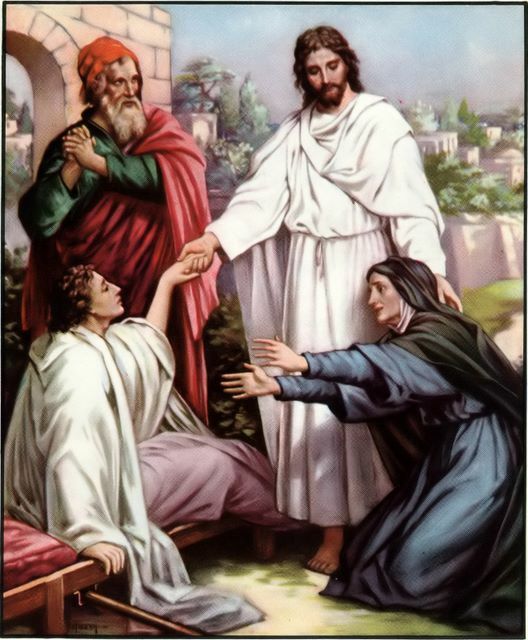 Throughout his ministry, Jesus claimed to be the Son of God, and went around proving his divinity by healing sickness and casting out demons from those who were afflicted by them. This was a major bone of contention with the religious leaders of Israel, who considered his claim blasphemous, despite his proving his power over death several times, such as when he brought the widow’s son back from the dead. But, in reality, the real bone of contention with these leaders was his power and prophetic announcement of the Kingdom of Heaven. The High Priest and the Jewish Council held power under the Romans, and they held Jesus as a threat to power. Even Pilate knew they were jealous of Jesus, and acknowledged that Jesus was “King of the Jews”, their leader and Prince, and the Centurion who nailed him to the cross declared “Truly, this is the Son of God!”.